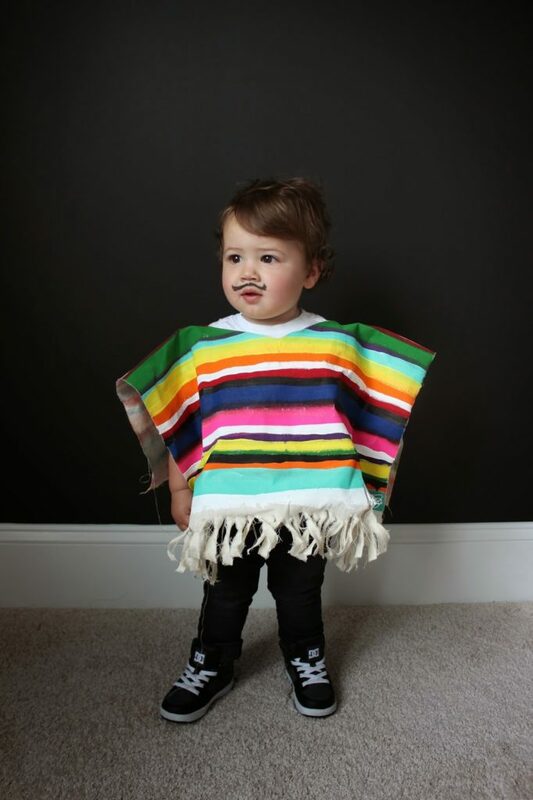 You know when you think of a project and you’re all like this is going to be soooo easy and cute, and then you start it and you’re like, OMG this is way too much effort why am I doing this, and then there’s no turning back because there’s no time to order a pre-made costume for your kid to wear it for his preschool performance? Yeah. That’s this project. Sorry for the run-on sentence (Mom). 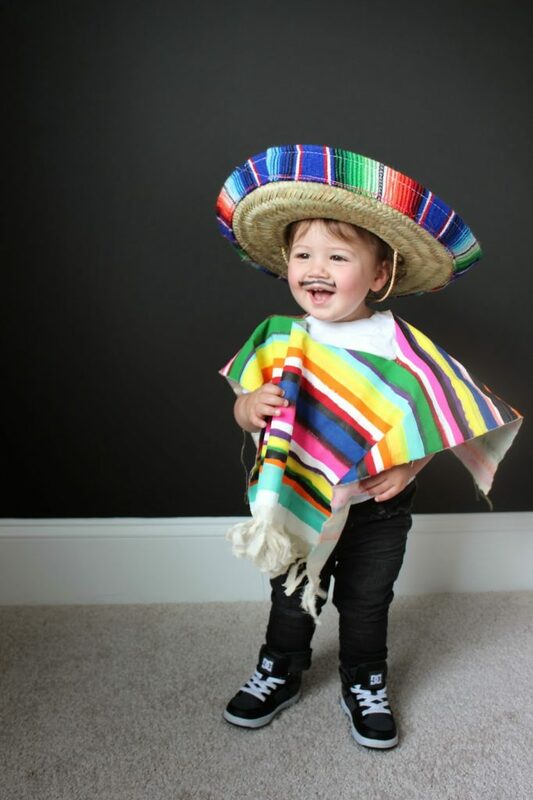 Max and Ari’s preschool has a annual spring festival where the kids dress up and perform for the parents. 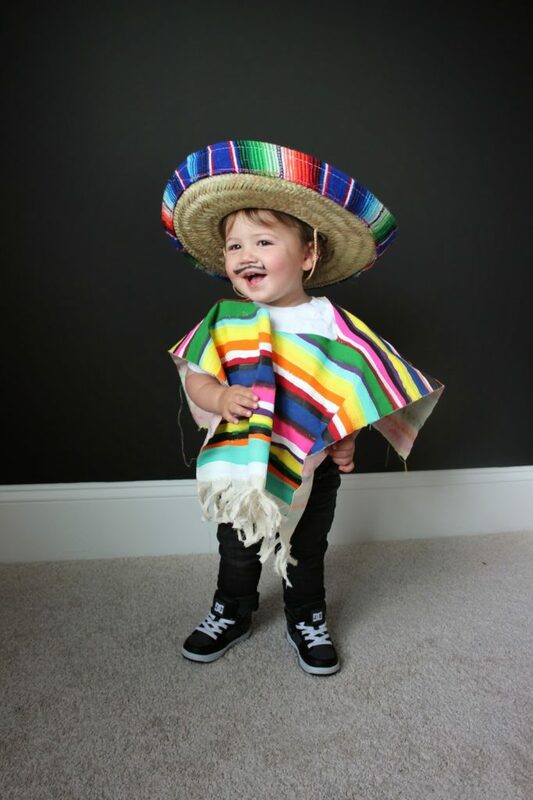 This year each class studied a different country, and Max’s was Mexico. 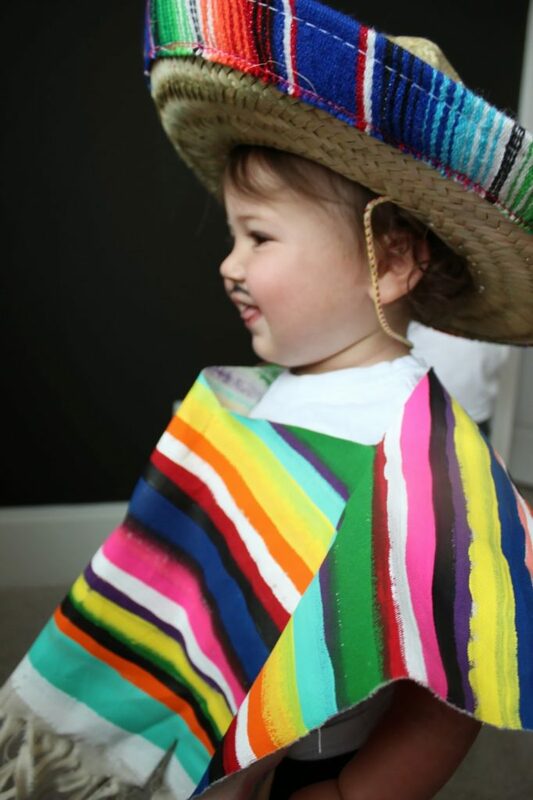 I thought it would be fun to have Max wear traditional Mexican garb- serape and sombrero. You know what though? Max just looks so freaking cute, maybe it was worth the effort?? Either way, thought I would share the tutorial. It’s not hard, just a bit time consuming! 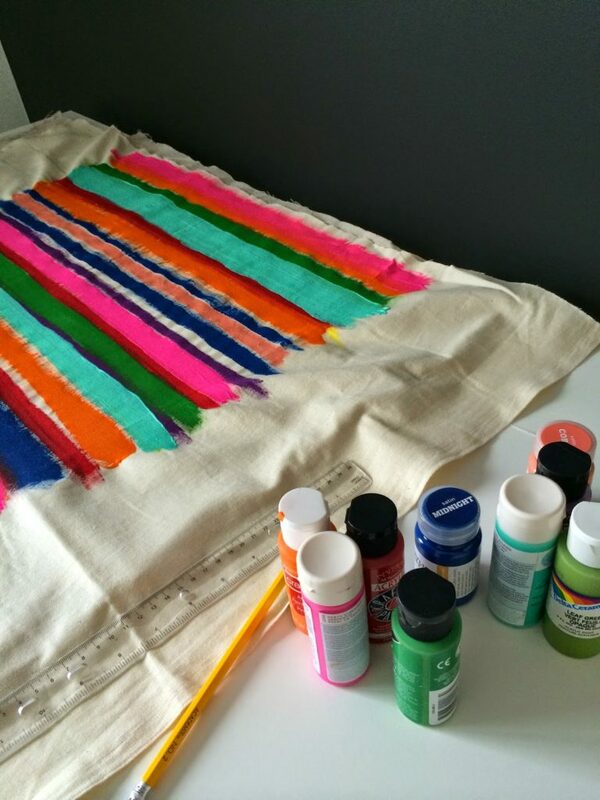 You’ll need 1 yard of lightweight canvas or muslin (make sure it’s pliable), lots of different acrylic paint, and paint brushes. 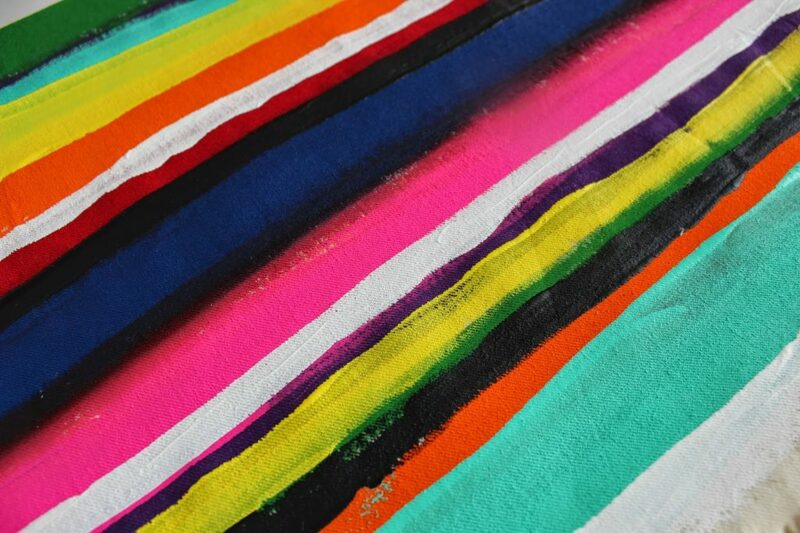 I found Martha Stewart’s acrylic paint to be the best- soooo easy to spread along the fabric and the colors were nice and bright! 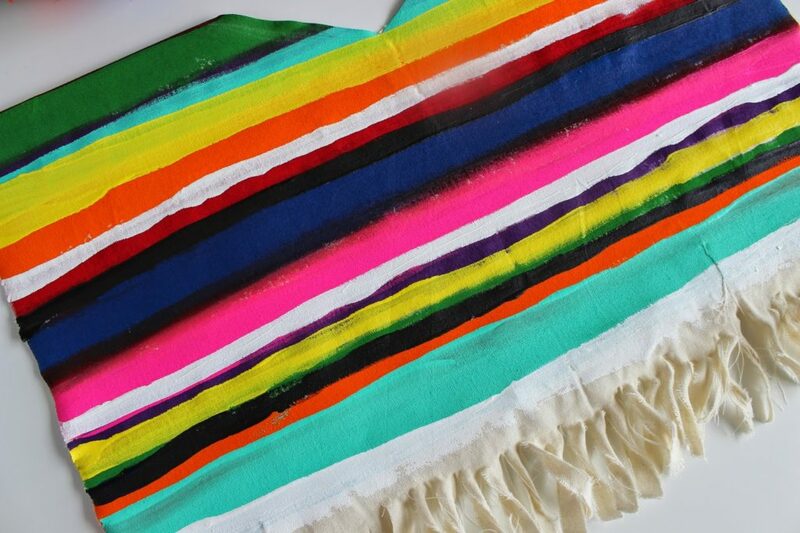 Leave about 3 inches on top and bottom for the fringe, then simply paint lines in different colors across the fabric. Leave black and white paint for the end. I probably should have used a ruler, and I even got it out to use… but I didn’t. It doesn’t need to be perfect! I blended some of the colors when they were wet with a clean, dry brush. After all of the colors are dry, go back through with black and white to add the finishing touches. For the fringe at the bottom, cut little slits and rip the fabric up a few inches. Be careful not to rip up into the painted parts (like I did!). 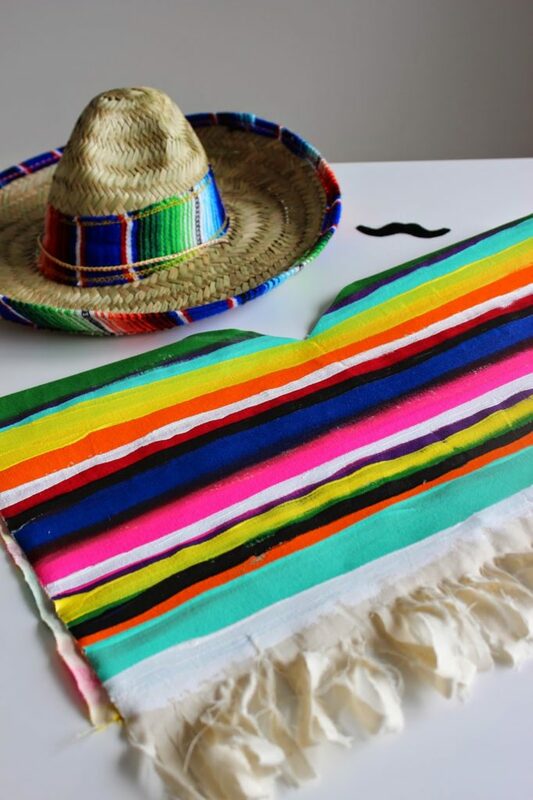 Fold the serape in half and cut a v-neck shape out. Mine was about 6″ across. This is SO cute – and what a great idea! !